An immersive pop-up for dogs and dog lovers. Human’s Best Friend is a shareable experience for dogs and the humans who love them. Created to celebrate all things dog, travel through a series of technicolor environments that will have your tails wagging! An idyllic scene of technicolor grass, blue skies and the ultimate picket fence - the perfect backyard backdrop for your photo moment. Get a peek inside your best friend’s hidden domain in this highly stylized pop-color dream house! Grab a treat at the Bone Bar for your best friend in a room filled with bones floor to ceiling. Let loose with your best friend in this experience inspired by their favorite toys and pastimes. 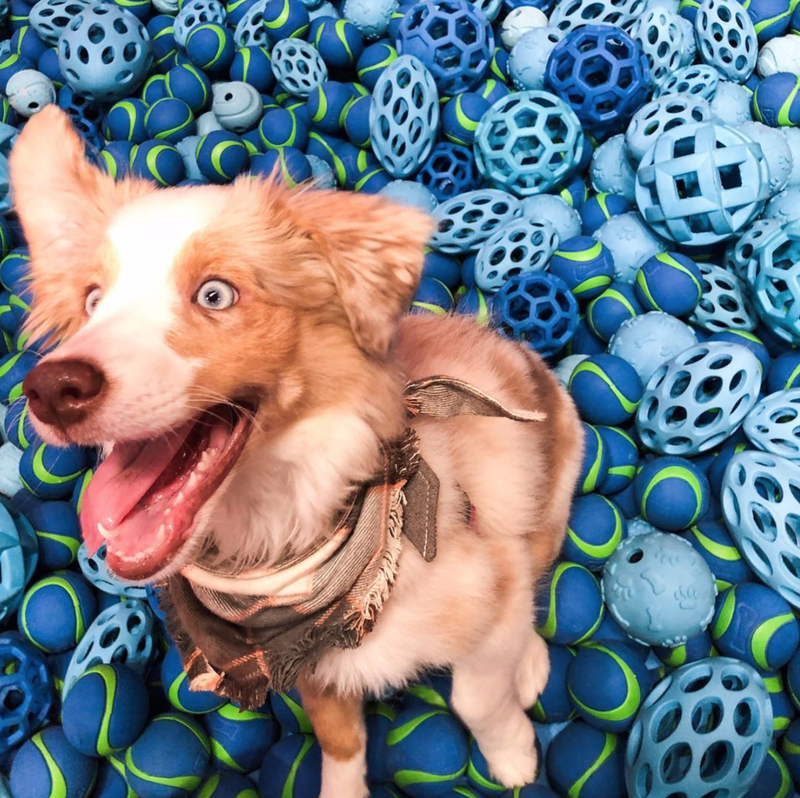 A larger-than-life dog bowl serves as the centerpiece of this space, filled to the brim with tempting blue tennis balls. Time to go for a walk and explore our zig zag hill that breaks down our social mission to help dogs everywhere. Human’s Best Friend is an advocate for dogs and a platform to enhance organizations who support our Best Friends.